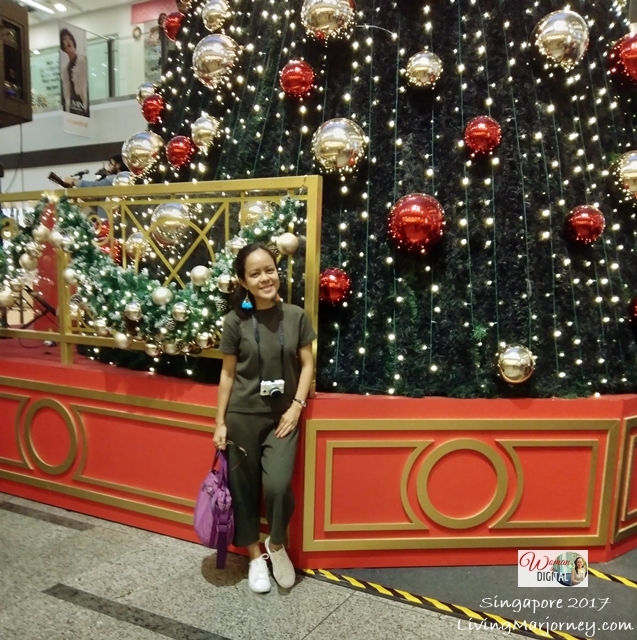 It was a gloomy day when we went budget shopping in Vivo City and Harbourfront Center. It even rained heavily early morning. My mind was already making adjustments of itinerary. We thought we would only spend the whole day at the hotel and yet we're ready to go out with our raincoats and umbrellas. 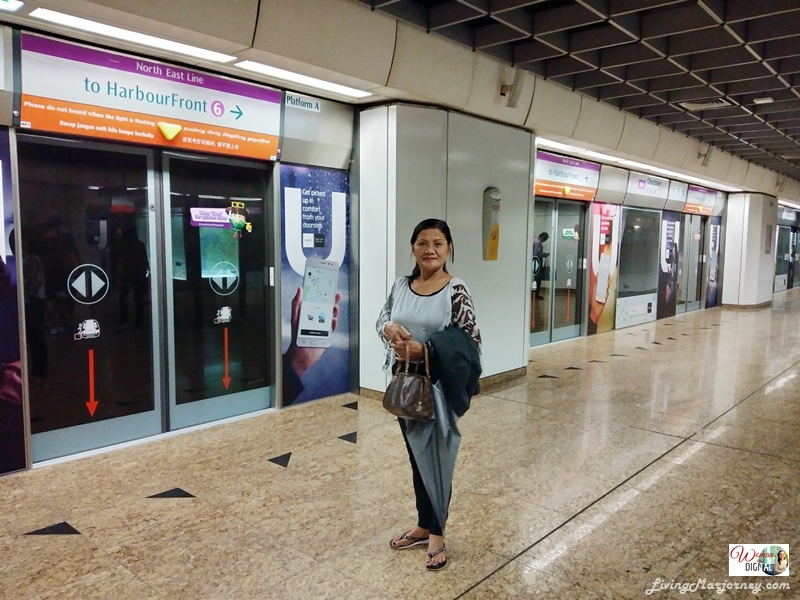 Going around Singapore is much cheaper by bus and trains. 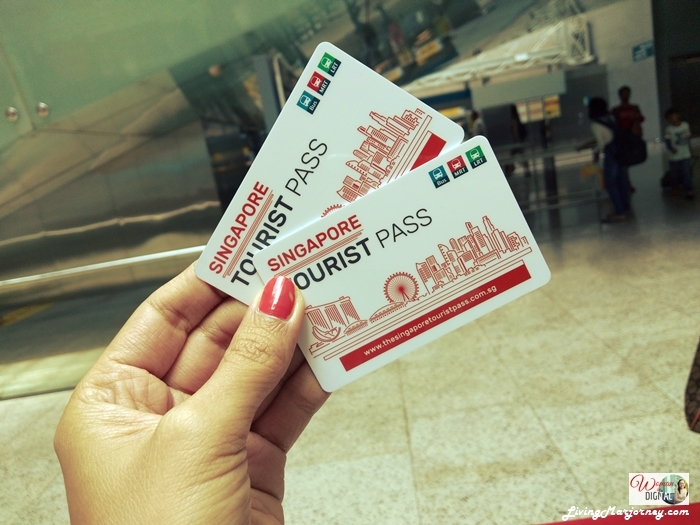 We bought a 3-day Singapore Tourist Pass Unlimited ride to train and bus for SGD30 each at the airport, the day we arrived from Manila to Singapore via Fly Scoot. You're actually paying SGD20 (Php753) and will receive SGD10 when you surrender the card. Take note of the date you need to return it. It would only take about ten minutes to reach Harbourfront station from Chinatown station. The station is also a few blocks away from our hotel, Adler Hostel. 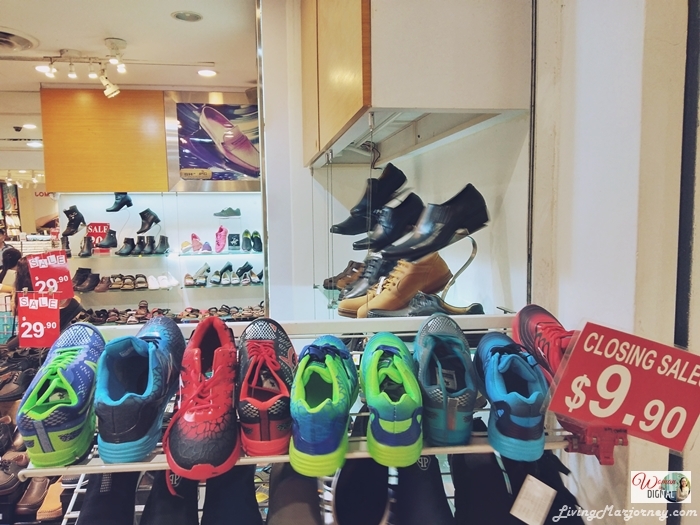 You will passed by Chinatown Center and can do shopping as well. 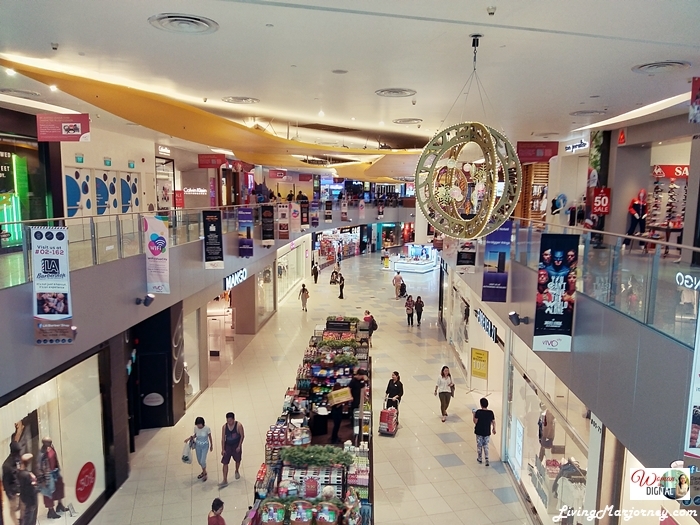 Branded clothes, bags and shoes are located at both Vivo City and Harbourfront Center. My mother-in-law spotted this shop selling shoes at discounted price. I was about to get one for my brother but I realised I don't have his shoe size. Sorry na lang, bro! Mama bought a sneaker for herself. 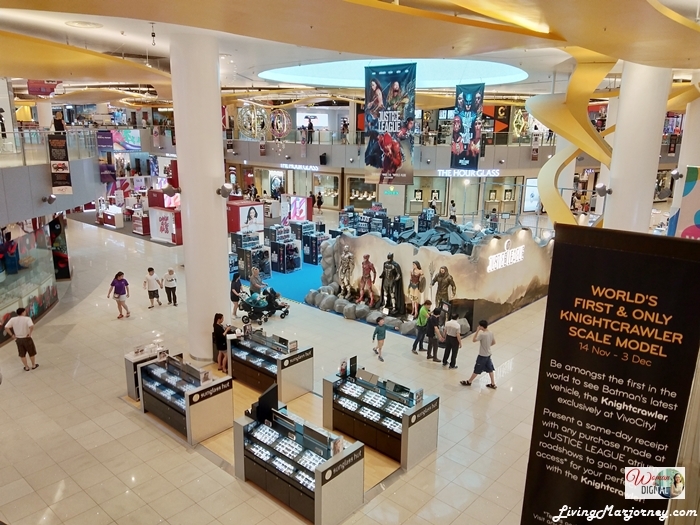 We also spotted Justice League pop-up store in Vivo City. We definitely love to pose at the giant Christmas tree in Harbourfront Center. Here's the MRT situation during non-peak hours. 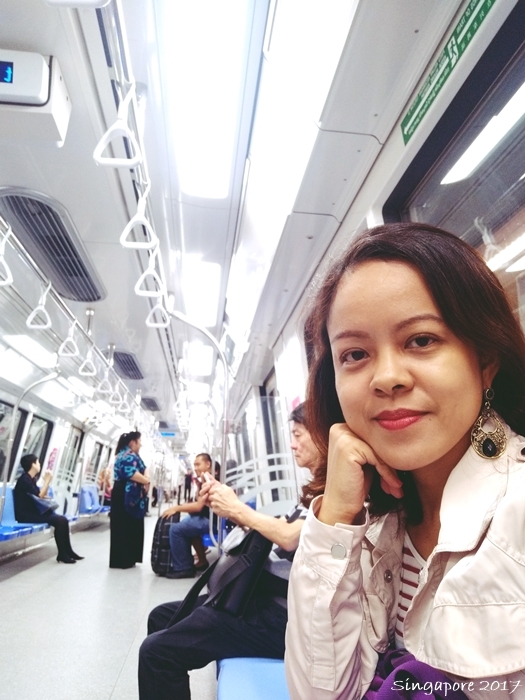 Singapore MRT is very neat and spacious. 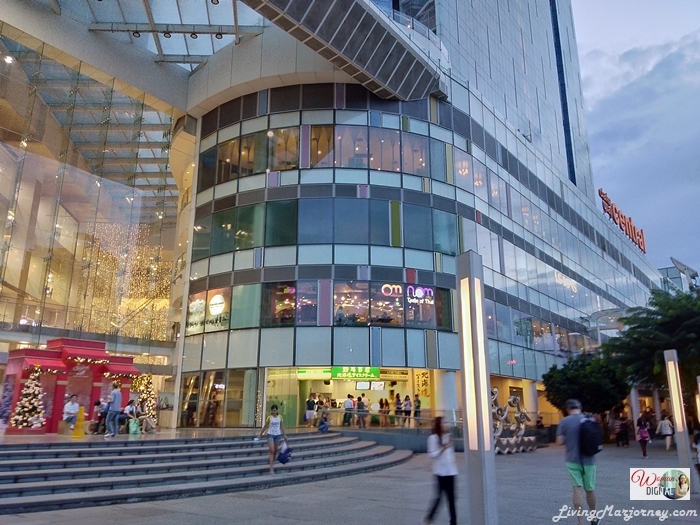 Harbourfront Center and Vivo City are connected, that means you can do a lot of shopping in this area of Singapore. 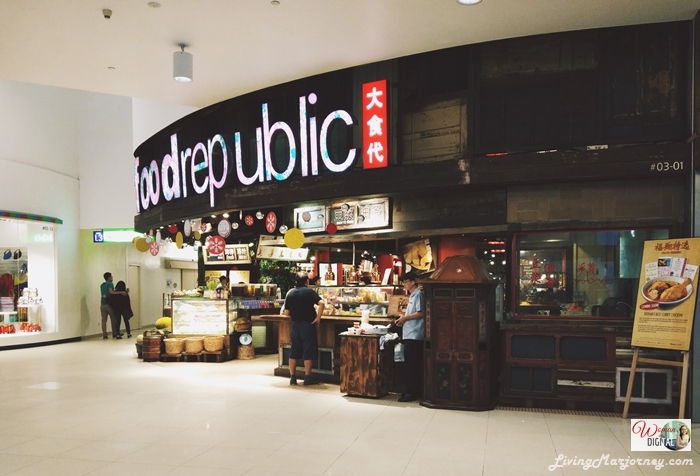 When you feel the need to refuel, there are several restaurants and coffee shops. I always have Singaporean coffee and kaya toast. We spent the evening at Clarke Quay, it was a long leisure walk with some window shopping. Ending the day with a yummy Hainanese Chicken and noodles. 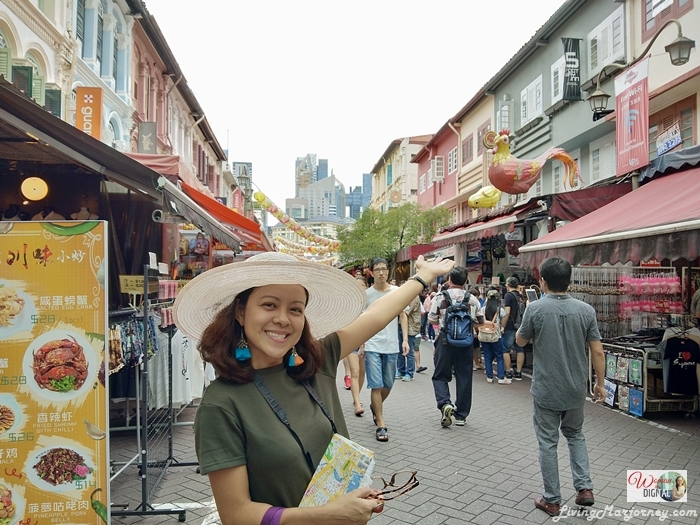 Most restaurants at Clarke Quay are expensive compared to Chinatown so if you're on a budget, there are cheap eats at Vivo City. Although I brought along my Pentax Mirror-less Camera, I used the Vivo V7 smartphone most of the time. I also downloaded the Singapore map on my phone, it's a big help for people like me who are poor in directions. Even without the internet, you can still open the app and check the Singapore train maps. The Vivo V7 boasts with a 5.7” All Screen Display. Equipped with advanced technology including Vivo’s fingerprint, 24MP front-facing camera raising the selfie game to the next level. Other specification includes: Android 7.1.2 Nougat, 1.8 GHz Qualcomm Snapdragon 450 octa-core processor with Adreno 506 GPU, LTE, 4 GB RAM, 32 GB internal memory, 3,000 mAh built-in battery, WiFi, Bluetooth and GPS. 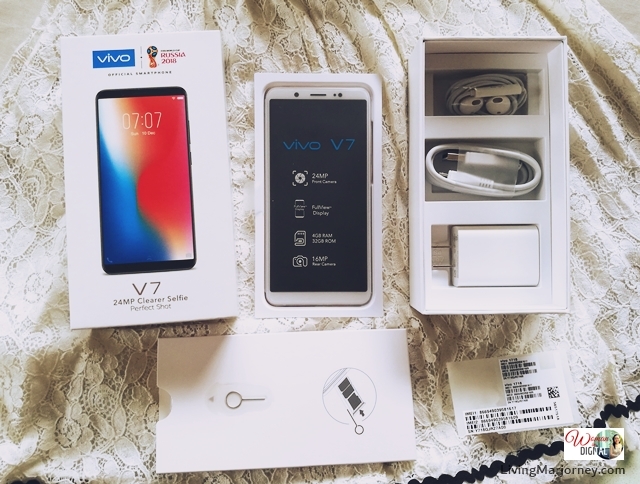 Vivo V7 is now priced at only Php12,990 from its original price of Php14,990. Vivo smartphones are available in the Philippines and we are hoping it will be in Singapore. I did not spend a lot in shopping during this trip. But I highly recommend buying pasalubong in Chinatown Singapore. For branded items, of course it's better to get them at the stores. Our Manila-Singapore experience via Fly Scoot is now up on Seats For Two. I hope you would also visit our couple blog. 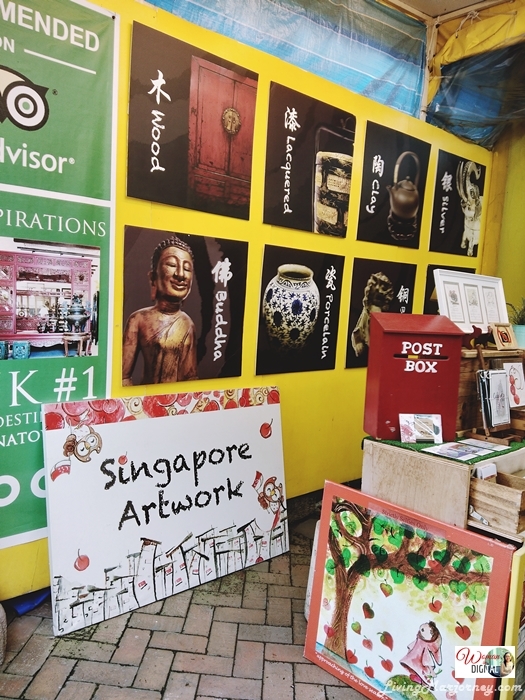 Do you have plans of visiting Singapore this year? wow! thats a lovely place. Dream ko din yang Singapore momshie. Ang top 1 ko is Hongkong, para mapuntahan ung "Happiest plpace on earth" na sabi nila to see Mickey sa Disneyland. wohoooo. love the teacups! Gusto kong magcollect wala lang space.